Griffin Studio is the most successful program in Australia for providing artists with pathways to the mainstage. Through a year-long residency with the company, the program establishes clear career pathways for directors, writers and dramaturgs. It’s an invaluable experience for artists to come together to hone their craft, gain vital experience inside a company and develop new work. Emily Havea is a Sydney-based actor, singer and dancer working across theatre, music, film and TV. 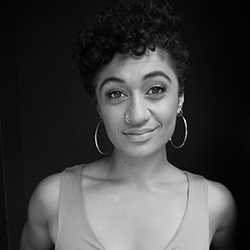 Theatre credits include Julius Caesar and A Midsummer Night’s Dream (Bell Shakespeare), Kill Climate Deniers (Griffin Theatre Company), BU21 (Old 505) and Black Birds (WITS Festival Fatale, re-staged in 2018 for Griffin’s Batch Festival as Brown Skin Girl). TV credits include Wentworth Season 6 (Foxtel/Showcase), Sisters (Network 10), and Growing Up Gracefully (ABC). Her film credits include Upgrade (Goalpost Pictures) and the web series Resting Pitch Face (Google/Grumpy Sailor Productions). Emily is a 2014 NIDA acting graduate. 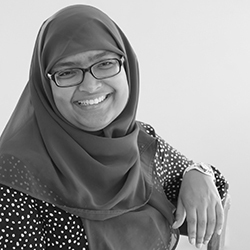 Tasnim Hossain is a playwright, dramaturg and screenwriter. She is part of MTC’s Women in Theatre 2018 program for dramaturgy and literary management. She was the 2017 Resident Playwright at ATYP, and is currently serving as a board director for the company. She has written work with young people through ATYP and Shopfront Art’s Senior Ensemble. Tasnim’s solo show Letters to John has had seasons at Griffin’s Batch Festival, Crack Theatre Festival and Fringe World in Perth. She has worked with Goalpost Pictures and attended Talent Camp NSW/ACT, a joint initiative between AFTRS, Screen Australia and Create NSW supporting diverse storytellers for screen. She has a Bachelor of Arts (International Relations) from ANU. Supporting the Studio is a three-year commitment of $5,000 annually, which can be made individually or by a syndicate of donors. Donors follow the development of artists and their work over the course of their residency and beyond. In the seven years since its inception, the Studio program has engaged 32 artists and has led to 18 professional productions. Former Studio Artists have worked at every major theatre in Australia, demonstrating the important contribution of our Studio donors. Griffin Scratch is a continuation of Griffin’s commitment to providing opportunities for exceptional, non-traditional writers, with a view to bringing an array of new and alternative Australian voices to our stages. This year we will again be bringing together a group of inspired comedy brains, new writers and alternative theatre makers to take part in a week-long residency. At the culmination of this residency, the participating artists will present their ideas-in-progress onstage at the Stables at Griffin Scratch.